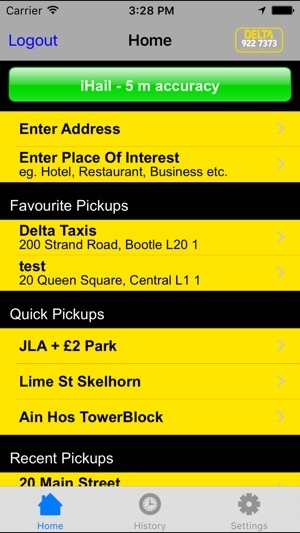 The official iPhone App for DELTA TAXIS on Merseyside. 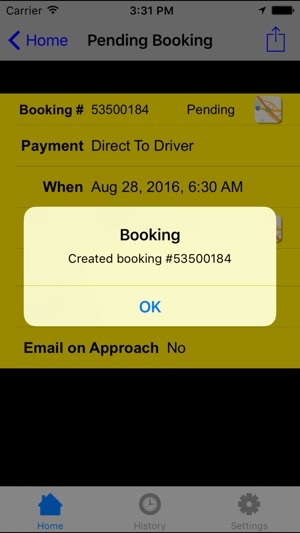 Enables registered users to book HIGH PRIORITY TAXIS direct through Delta’s dispatch system. 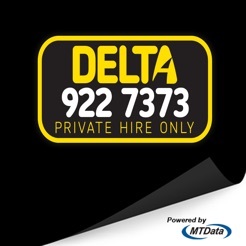 ENTER ADDRESS / ENTER PLACE OF INTEREST – enables you to manually enter your pick-up location by tapping direct into Delta Taxis’ very own street directory / places of interest. LIVE TRACKING – shows your assigned Delta Taxi homing in to collect you. 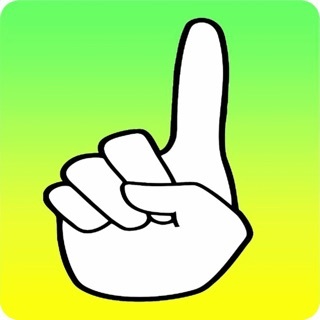 FAVOURITE LOCATIONS – Personalise your favourites list with all your regular pick-up points for easy 1-click entry. 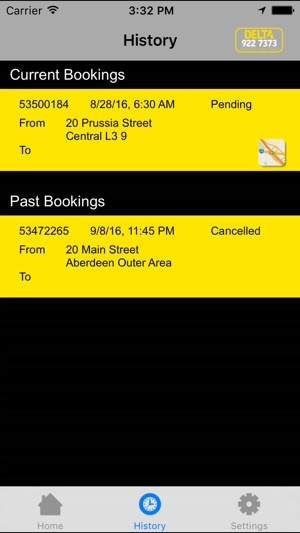 BOOKING HISTORY – Details all your previous booking to assist with after-sales enquiries. 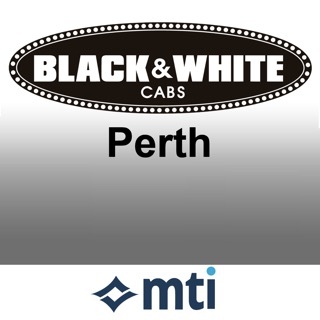 EMAIL ON APPROACH – confirms the make, model, registration number and colour of your approaching Delta Taxis. 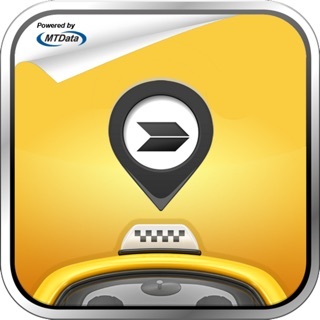 The Delta Taxis iPhone App also works in conjunction with the Delta Taxis Web Booker database. If you are already an existing Delta Taxis Web Booker customer there is no need to re-register. Linked to your Web Booker account the iPhone App gives you access to your booking history & favourite locations from your Web Booker account. - Minor colour change on street search results. I have my home address as a favourite but I don't want them waiting outside my house so I need to put a message. The remark box cannot be filled in when using a favourite pickup so squeeze it into the address box & some of the more moronic drivers don't understand and ignore it. The other option is write my favourite out every time, which I don't have time for. The pickup pin in the map is about half a mile away from where I actually am so taxis are hailed within the vicinity of the pin rather than me. 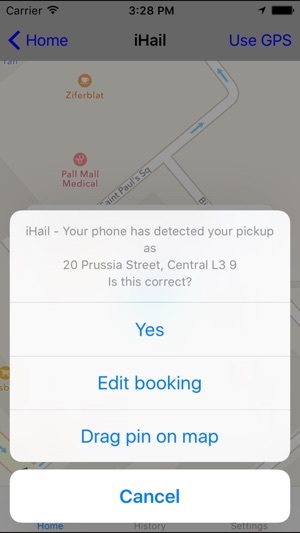 The "problem creating booking - pickup area busy" message is annoying. You have to roll the time forward 5 mins, try again, then add 5 mins, then try again and continue until you reach a time that won't be busy. Surely there is an easier way of doing this? The app could just tell you a time instead of you doing trial and error. 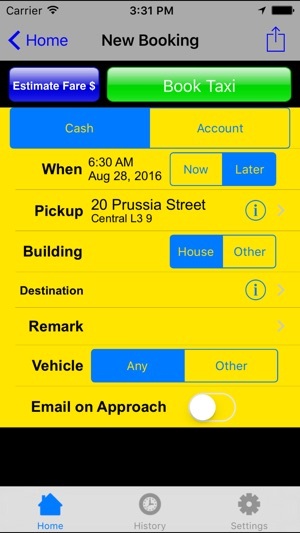 In the time of Uber it would be good to make the app sleeker. You put your prices up by 10% a year ago (2016) but not invested it in the app as this has been the same for years. It's good for a local firm but could be better. I only use Delta as backup firm now as Uber is cheaper & cars are cleaner, although Uber drivers are more likely to not speak English or know their way round than Delta drivers. Delta is generally quicker & more reliable too as Uber have price surges when demand is high so I just use Delta instead. 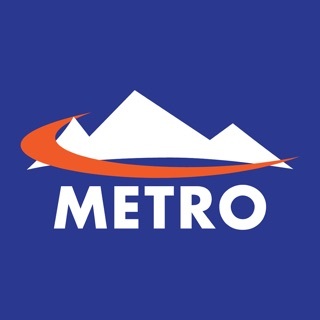 Quick service as always using app. 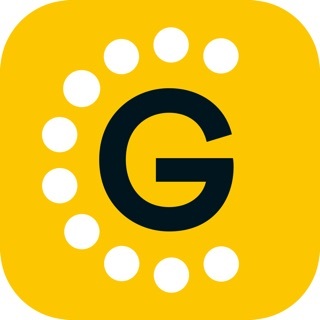 This app gives a huge advantage to your journey! Our last taxi took exactly 27 seconds to arrive! 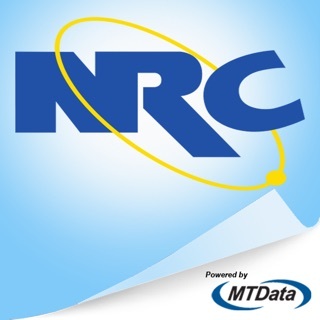 I would definitely recommend this app to anyone.